One of the most popular and yet complex plugins for Adobe After Effects, Trapcode Form is a unique particle system that creates stunning and professional results. Instead of generating particles, Form's particles just exist. This course helps you bridge the gap to mastery of Trapcode Form. Author Chad Perkins introduces Form's properties, base forms, and particle types, and then moves on to mapping Form particles to 3D objects and creating effects like organic fireballs and 3D holograms. 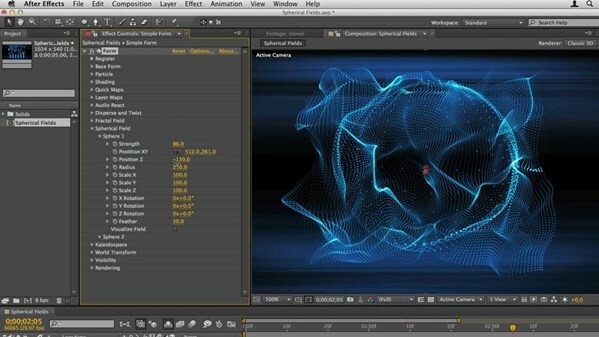 He also shows how to light particles in After Effects, integrate audio, and create 3D Form objects. The course includes three sample projects that are highly applicable to real-world client requests, including dissolving a logo design. This course was created and produced by Chad Perkins. We are honored to host this content in our library.